Since its launch in 2013, the Basic English Language Instruction (BELI) organized by GPF-Cambodia has provided valuable English language instruction to underserved schools around Phnom Penh and offered life-changing experiences to university student volunteers. Cambodian students attend volunteer orientation and induction. 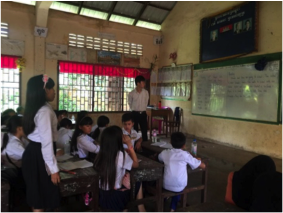 GPV teaching english to Cambodian youth. English is quickly rising as the primary language in many Southeast Asian nations. Providing quality education through English literacy programs like BELI gives Cambodian youth a significant advantage as the country enters globalized economy and multicultural world. 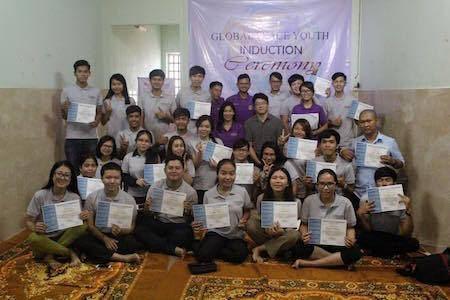 Follow GPF Cambodia to stay updated on the latest from their Global Peace Volunteers.